Welcome to our website, please click the links above ( or the 3 bars on the left if you are on mobile) to find out more info about our series! Our Facebook page is located here : https://www.facebook.com/ECWatercross and this contains the most up to date information possible! The East Coast Watercross tour is THE place on the East Coast to participate in closed course personal watercraft racing sanctioned by the IJSBA (International Jet Sports Boating Association)! 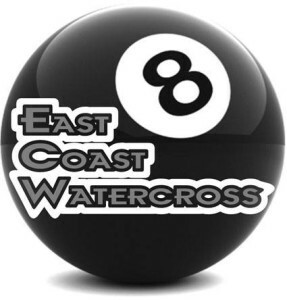 East Coast Watercross represents the IJSBA’s ‘Region 8’ which is made up of the following states: Maine, New Hampshire, Delaware, Rhode Island, Vermont, New York, Massachusetts, Connecticut, Virginia, Ohio, Pennsylvania, New Jersey and Maryland. East Coast Watercross hosts 10 rounds of racing which are held on 5 separate weekends throughout the summer, with each day making up one round of racing. A typical race day will see 10 or more classes of racers composed of different skill levels, ranging from beginners to pro riders, various watercraft types and ages starting as young as 10. Each class will race twice per day 2, once in the morning and once in the afternoon following a short lunch intermission.